You really have to admire Local Motors’ ability to think outside the box. Without its holistic, crowd-sourced approach to automotive development we wouldn’t have cars like the bonkers trophy-truck, grand touring car mash-up 2013 Rally Fighter, or its new and exciting 213 Strati electric-powered track day car. The Phoenix, Arizona-based company picked the Strati from over 200 lightweight sports car design concepts submitted by Local Motors’ online co-creation community. 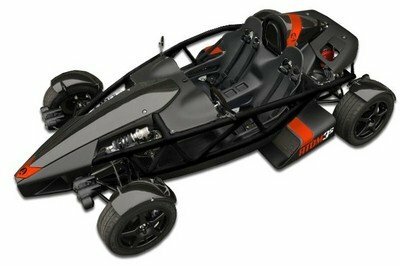 Its open-top chassis features a carbon fiber reinforced thermoplastic polymer body. The electric motor is available with up to 17 horsepower and 42 pound-feet of torque and will power the rear wheels through a single-speed transmission. 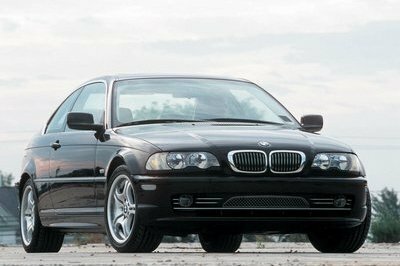 A regenerative braking system harvests energy under deceleration and top speed is approximately 50 mph. Not exactly Earth-shattering numbers, but the Strati is all about minimalist fun rather than setting lap records. 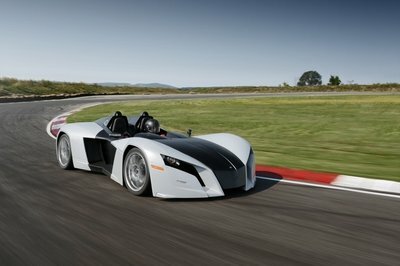 But, perhaps even more interesting than its performance is that Strati happens to be the world’s first 3D-printed car. Its latest iteration is being printed on the show floor of the Detroit Auto Show at COBO Center in a small version of what Local Motors call a micro-factory. Printed parts include the chassis, body and a few interior features, while more complex parts, like the suspension and motor, are added later. This is no gimmick either. Local Motors wants to completely revamp the way the auto industry builds cars. “Since launching in 2007, we have continuously disrupted the way vehicles are designed, built, and sold,” says Local Motors CEO John B. Rogers, Jr. “We paired micro-manufacturing with co-creation to bring vehicles to market at unprecedented speed.” Local Motors says it currently takes about 44 hours to print a Strati but wants to cut that time to 24 hours. Click past the jump to read more about Local Motors’ 3D-Printed car. Local Motors’ agile development process combined with its new micro-factories will allow it to take cars from the conceptual phase to the road in an incredibly short amount of time. The company sees traditional assembly-line car plants as antiquated relics, and wants to decentralize the design and manufacturing process by establishing micro-factories near city centers across the country. It has already committed to building two new micro-factories near Knoxville, Tennessee and Washington D.C.
Local Motors claims its micro-factories will reduce freight and distribution costs by an astounding 97-percent and provide over 100 local jobs. The roughly 40,000-square-foot facilities will allocate about half their floor space to research, design and education. The other half will be divided into space for manufacturing and a retail showroom. 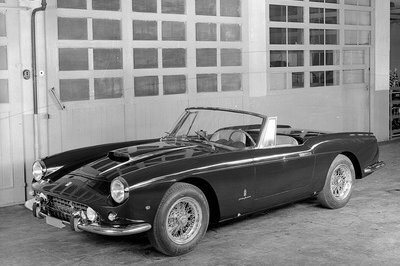 The idea is that all the equipment and personal needed to take a vehicle from the drawing board to the showroom will all be under one roof. It remains to be seen how much of an impact 3D printing will have on the car industry, but it has enabled companies to do things that weren’t possible just a few short years ago. No other company has embraced the technology like Local Motors has, and the range of possibilities is virtually limitless. Local Motors is the guinea pig, and the entire industry will be watching to see how all this plays out. A new kind of vehicle and manufacturing process will debut at the 2015 North American International Auto Show (NAIAS). 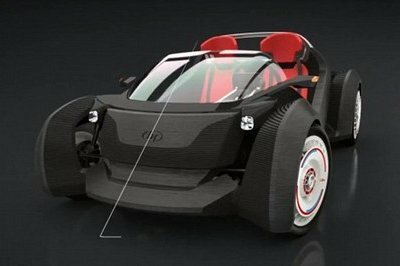 Local Motors will 3D print, assemble and debut the world’s first 3D-printed car – live from the show floor. Called the Strati, the vehicle is the first in a line of 3D-printed cars from Local Motors. The design was chosen in May 2014 from more than 200submitted to Local Motors by the company’s online co-creation community after launching a call for entries. The winning design was submitted by Michele Anoèwho was awarded a cash prize plus the opportunity to see his design brought to life. Less than a year after the original design was chosen, Local Motors will premiere a mid-model refresh, which began its inaugural print on Monday, January 12 on the show floor during NAIAS. Local Motors will showcase the proprietary three-phased manufacturing process for 3D-printing cars during NAIAS 2015. The first phase in 3D-printed manufacturing is additive.Made from ABS plastic reinforced with carbon fiber provide by SABIC, the current model of the Strati takes approximately 44 hours to print 212 layers. The end result is a completed 3D-printed Car Structure™. The second phase of 3D-printed manufacturing is subtractive. Once 3D printing is complete, the 3D-printed Car Structure moves to a ThermwoodCNC router that mills the finer details. After a few hours of milling, the Strati’s exterior details take shape. A Local Motors micro-factory is typically 40,000 sf and includes 20,000 sffor a Lab, used for co-creation, research, technology, education and free community events; 10,000 sffor a Vehicle Showroom and Retail Store; 10,000 sffor a Build Floor to accommodate light assembly of products and vehicles. Local Motors is pleased to announce two new micro-factory locations: one in Knoxville, Tenn. and one at National Harbor, just outside Washington DC. The Knoxville location highlights the collaboration between Local Motors and Oak Ridge National Laboratory (ORNL), which signed a deal a year ago to design, build and print the world’s first 3D-printed car.The Local Motors Knoxville micro-factory will focus on rapid commercialize of advanced manufacturing learning’s from ORNL Manufacturing Demonstration Faculty and highlights the company’s commitment to being a member of the newly announced iACME. Debuting the world’s first 3D-printed car at NAIAS demonstrates the success of thepublic-private partnership.